Aerial shot of woman exercising on mountain. Plank exercise in sunset. hd00:09Girl on a bench on the mountain Lovcen, Montenegro. Kotor Bay View. hd00:29Kolochava, Transcarpathian region, Ukraine, September 23, 2018. Tourists with backpacks pass through the mountain range. 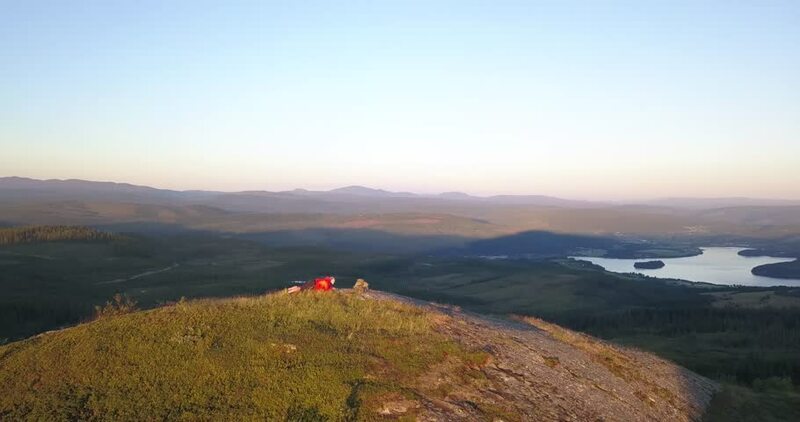 4k00:15Red camping tent in the Swedish mountains early morning sunrise. 4k00:22Aerial view of two woman walking on the lava field in Iceland. Tourists hiking on the rocks, feeling freedom and happy.